A recent ominous message from Hanoi should be taken seriously. The obvious economic bombshell to hit Indochina is landing directly from above, led by an inevitable rout of the Chinese stock market where Beijing has repeatedly failed to end the massive sell-off with a series of measures including a devaluation of the yuan. Devaluation has already forced regional governments to follow suit and bring down the value of their currencies in order to maintain their competitiveness within their respective export markets. But China is not the only problem. The economic consequences of a conflict in Thailand or Vietnam’s ascension to the Trans Pacific Partnership (TPP) are another two imposing risks. Meanwhile, Malaysia appears ready to descend into a financial abyss and the rest of the region would also be significantly hurt by another downturn in the United States. Against that backdrop are constant threats in the South China Sea, where Beijing seems intent on pushing Southeast Asian claimant states into a confrontation over disputed reefs, islands and maritime borders. It should be taken seriously. Vietnam has spent the past three years in the economic doldrums while Cambodia, Laos and Myanmar are struggling to shed their least developed status. Economic growth has been impressive – on paper at least – for some. But a yawning wealth gap is emerging as a major issue for governments to deal with. Then there’s the impact of quantitative easing, not just in the United States, but among ASEAN countries and their neighbors as well. “In addition, development gaps and the middle-income trap remain setbacks to the nation …. 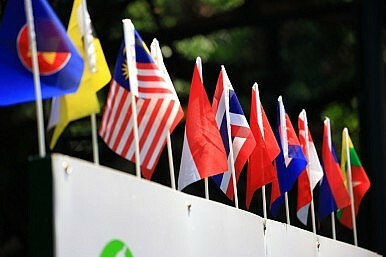 Laos, Cambodia and Myanmar could face the same challenges because they had similar economies,” the dispatch said. Importantly, the policy wonks are worried and are looking out on the horizons for an economic tsunami, which will initially threaten the heavily indebted. Whether the next economic downturn will match the force of the Asian Financial Crisis in 1997/98 or the Global Financial Crisis a decade later is already the question among many investors. But with so many unknowns, answers are unlikely anytime soon. Things don't seem to be looking that good for Hanoi.